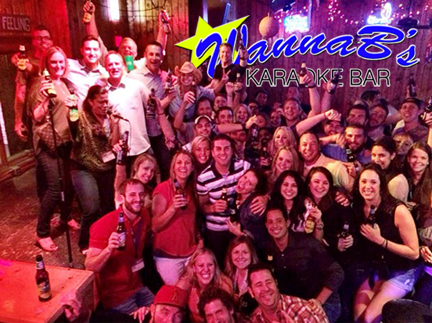 WannaB’s Karaoke Bar is like no other karaoke you’ve seen. It’s an immersive, interactive musical experience that will have everyone from the most seasoned singer to the shower yodeler and all of their friends clapping, dancing and singing along. Boasting professional sound complete with an elevated stage and lighting, WannaB’s is your guaranteed best party destination. Our KJs are also professional DJs and singers. They’ll help you recall that song you just can’t remember the name of in addition to keeping the energy up between singers. It’s a non-stop good time.